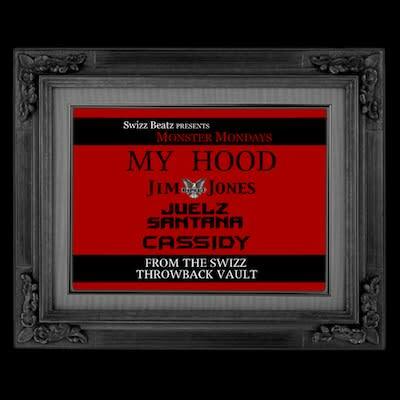 Listen: Swizz Beatz f/ Jim Jones, Juelz Santana & Cassidy "My Hood"
Swizz Beatz went digging in his throwback vault for this week&apos;s Monster Mondays installment. Today&apos;s track is "My Hood," featuring Jim Jones, Juelz Santana, and Cassidy. Enjoy. Haute Living is coming soon.